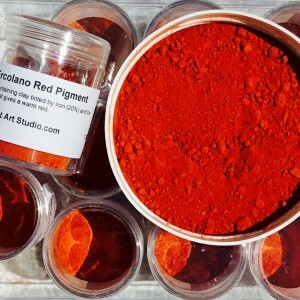 Great European artists have cherished and utilized beautiful pigments for centuries. 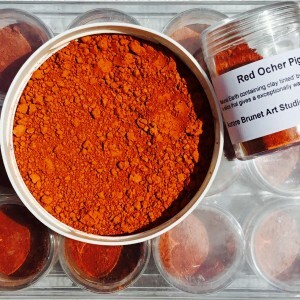 Imported from France, I have selected the highest quality natural and organic pigments created by nature. 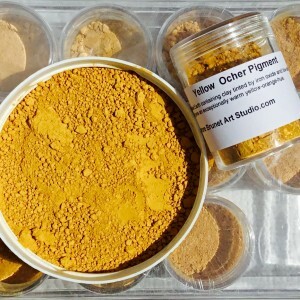 These pigments have an incredible luminescence with deep intense hues and a high tinting strength. 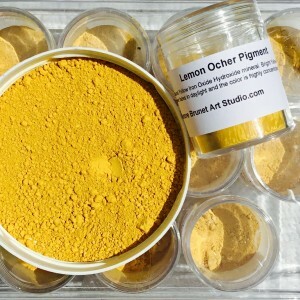 They are compatible with most other pigments and can be used with most mediums. 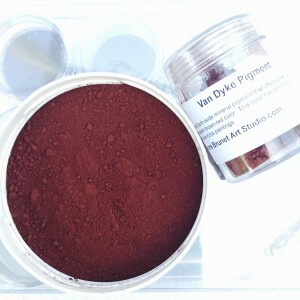 Natural Earth pigment that offers a warm, dark brown with a maroon undertone. 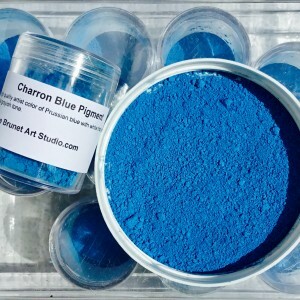 Charron blue is a high quality artist color of Prussian Blue with white that gives a blue grayish tone. Natural Earth containing clay tinted by iron (20%) and low in silica oxide that gives a warm red. 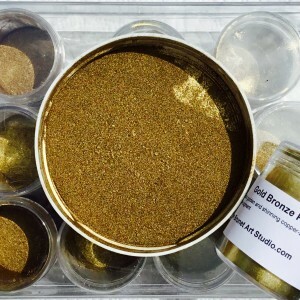 A beautiful golden and shinning copper and copper-zinc pigments. 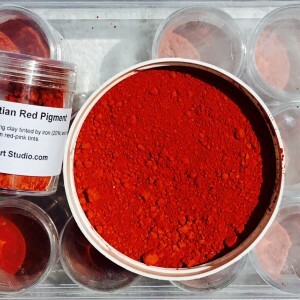 An incredible pigment. 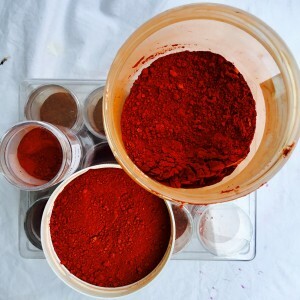 Natural Earth red iron oxide containing proportions of mineral impurities such as clay, chalk and silica that gives a deep red hue. Strong tinting strength and more opaque than other colors. German Black is obtained from the calcination of materials. 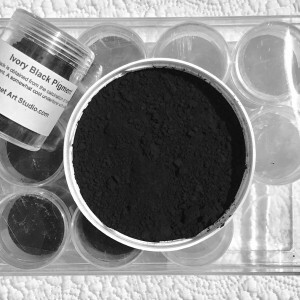 A high carbon pigment. A somewhat cool undertone with a deep velvety black. 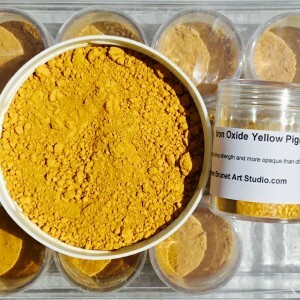 Natural yellow iron oxide hydroxide mineral. Bright yellow in tints, never fades in daylight and the color is highly concentrated. 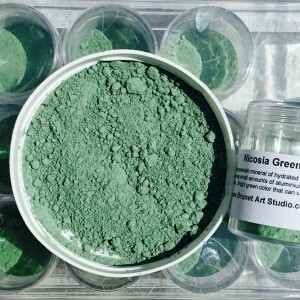 Natural greenish mineral of hydrated iron potassium silicate containing small amounts of aluminium, calcium, magnesium, sodium…Bright green color that can varies from pale green, bluish-green, olive green and black depending upon its constituent elements. Natural Earth containing clay tinted’ by iron oxide (20%) and low in silica that gives a exceptionally warm orange-red-hue. 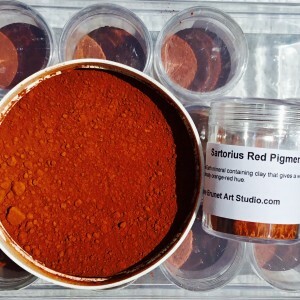 First modern and artificial pigment. 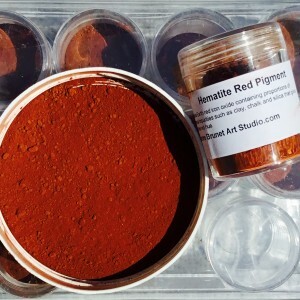 Beautiful and very rare pigment. An exceptional dark blue color. Very high tinting strength. One of my favorite blue hues. 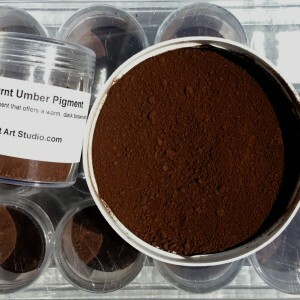 Natural burnt umber mineral pigment has been roasted and obtained from natural clays colored by the oxides of iron and manganese.. His dark reddish-brown pigment is often used in tempera, oil and water-color. 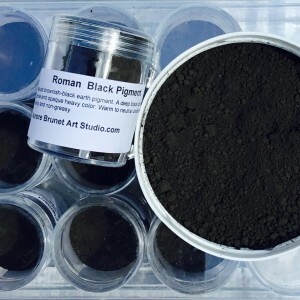 Natural brownish-black earth pigment. A deep black charcoal, dense and opaque heavy color. Warm to neutral undertone, wets easily and non-greasy. Natural Earth mineral containing clay that gives a warm exceptionally orange-red hue. Fine white natural powder that provides a maximum whiteness and opacity. 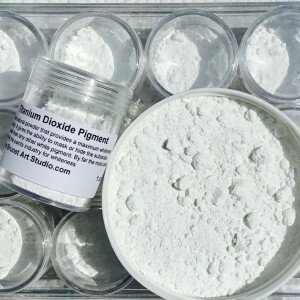 It gives the ability to mask or hide the substrate underneath than any other white pigment. By far the most used material by the paints industry for whiteness. 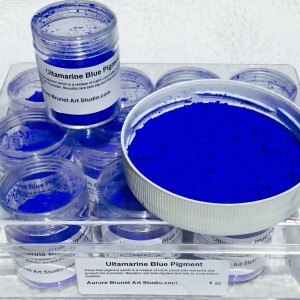 Ultramarine is a deep blue pigment which is the residue of lapis lazuli after extracted and ground into a powder. 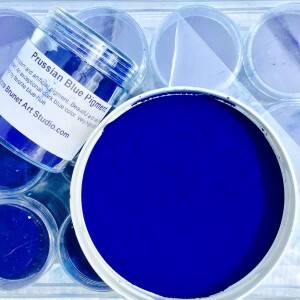 Beautiful rare pigment that tints to a warm blue-purplish. A Baby Doll Pink pigment, this is a great shade of pastel. Beautiful pink. 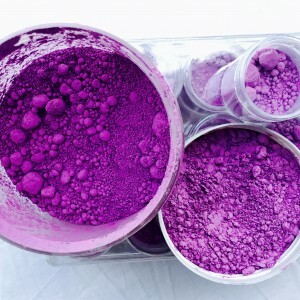 Beautiful primary light purple “ Lilac” pigment. 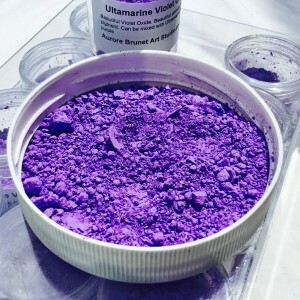 Can be mixed with Ultramarine blue for a deep, dark purple. 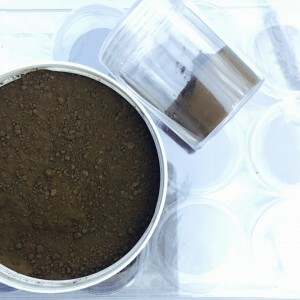 Natural Earth oxide mineral pigment that offers a deep semi-transparent brown color. This color has been used by Anthony Van Dyke in his paintings. Natural Earth containing clay tinted by iron (20%) and low in silica oxide that gives a warm red-pink tints. 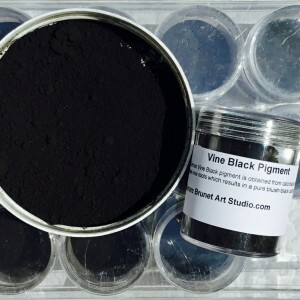 German Vine Black is obtained from the calcination of grape vine shoots, which results in pure carbon with quantities of potassium and sodium salts. A bluish black tint.